Calusa Lakes is a great place to live, nestled in a wooded terrain in an environmentally aware and Florida Friendly atmosphere. Our collective vision is to maintain a welcoming community of active residents living in harmony with the privately owned golf course and within a beautiful, healthy, safe, natural and socially inclusive environment. 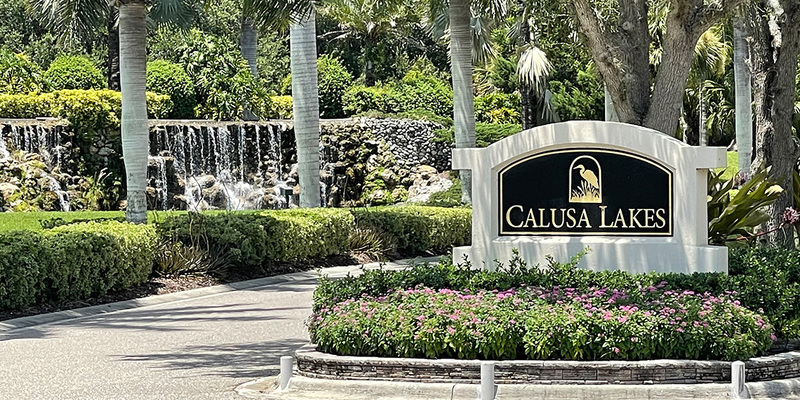 The community of Calusa Lakes in Nokomis, Florida is located between Venice and Sarasota, just minutes from I-75 and convenient to all services, shopping, restaurants, boating and beautiful sandy beaches. For more information see Our Community.